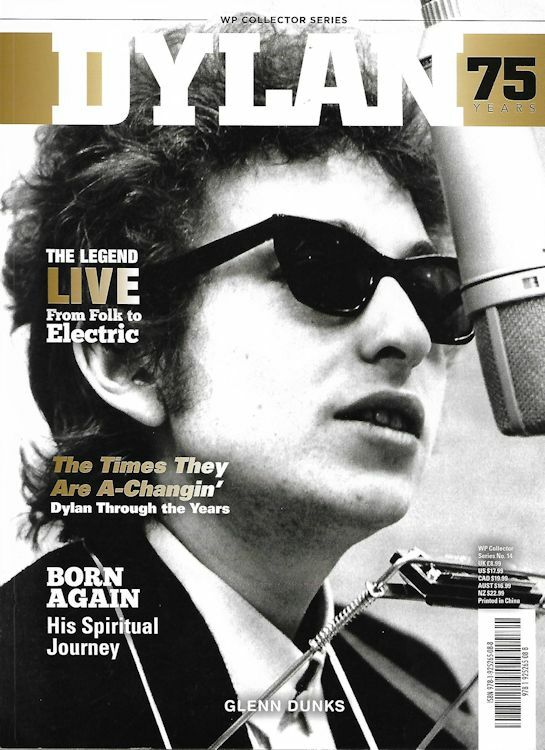 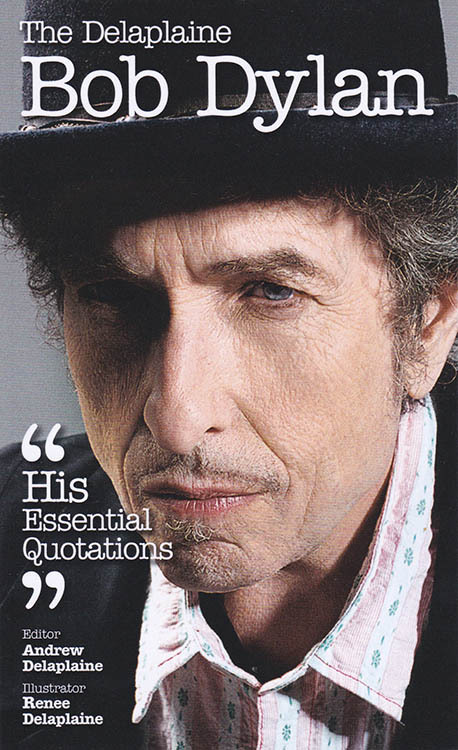 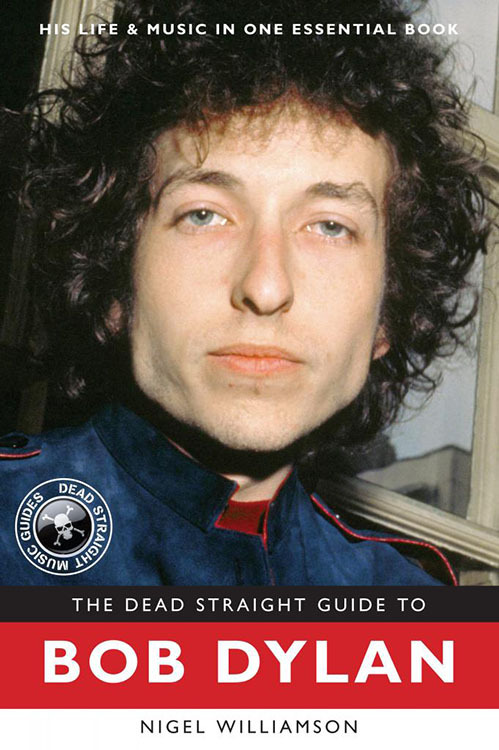 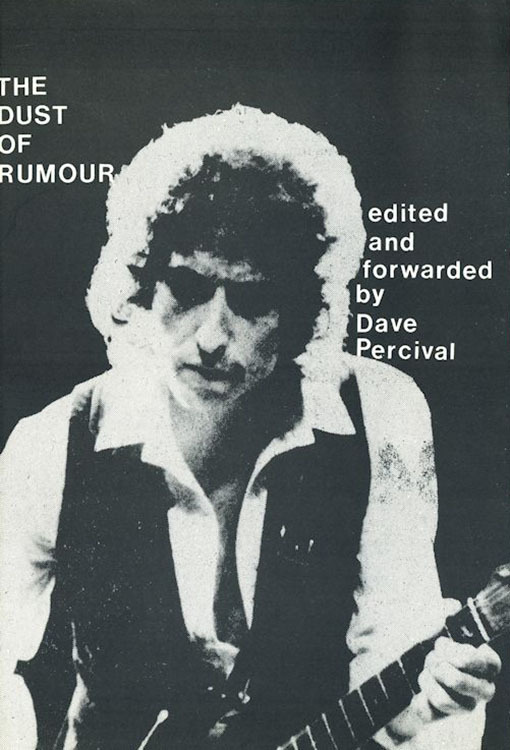 DEAD STRAIGHT GUIDE TO BOB DYLAN (THE), by Nigel Williamson. 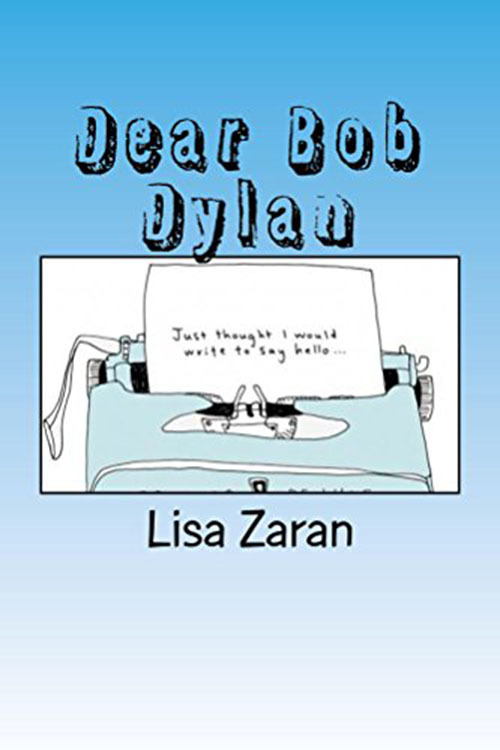 DEAR BOB DYLAN - JUST THOUGHT I WOULD WRITE TO SAY HELLO..., by Lisa Zaran. 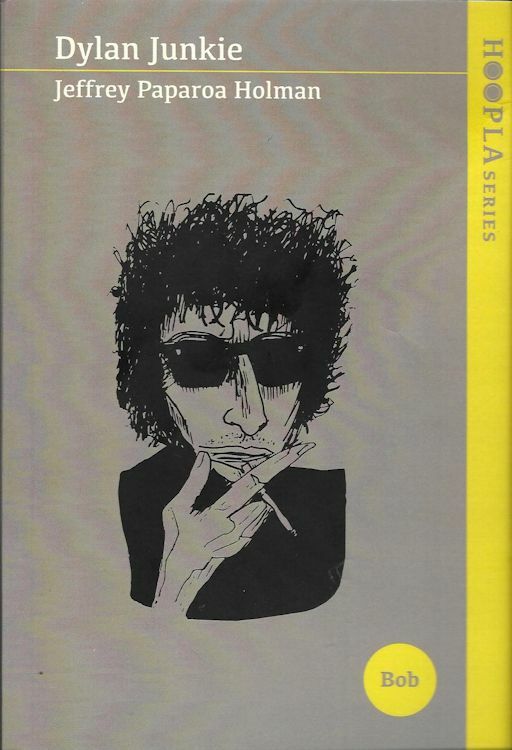 DELAPLAINE BOB DYLAN (THE) - "HIS ESSENTIAL QUOTATIONS", by Andrew Delaplaine. 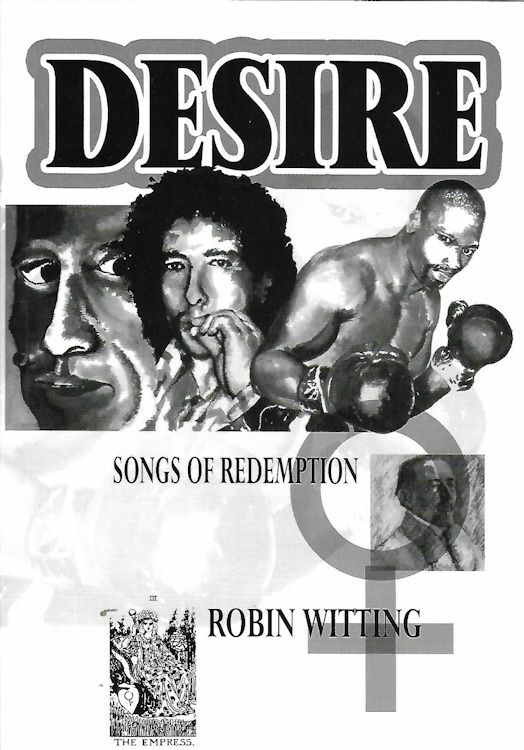 DESIRE - SONGS OF REDEMPTION, by Robin Witting. 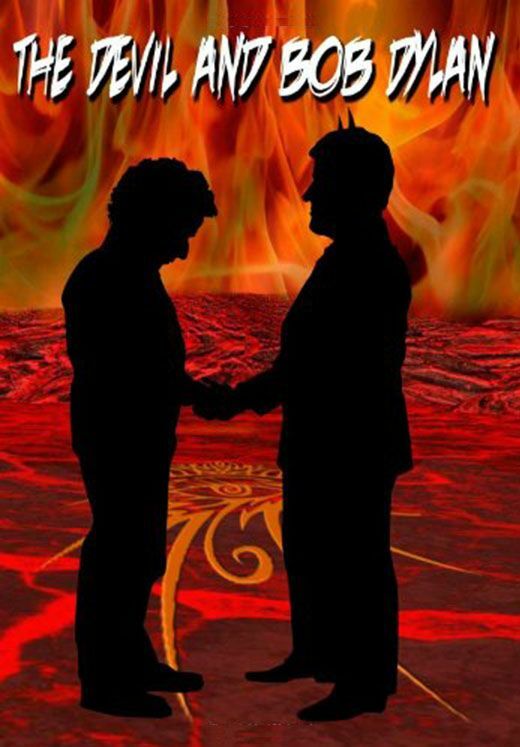 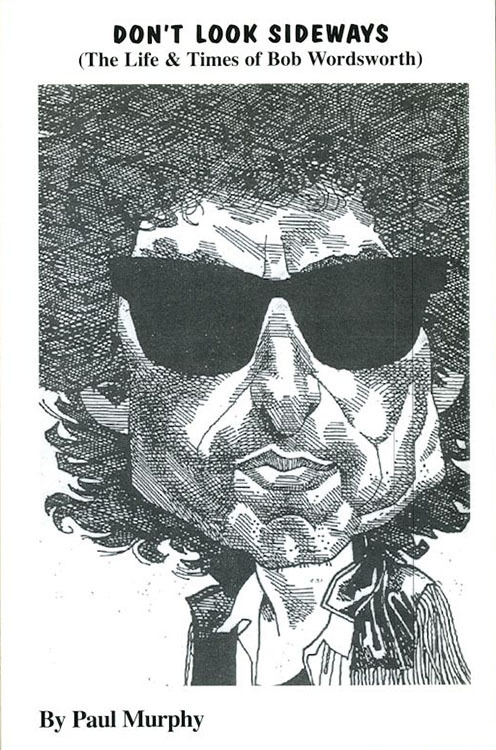 DEVIL AND BOB DYLAN (THE), by Alan Jules Weberman. 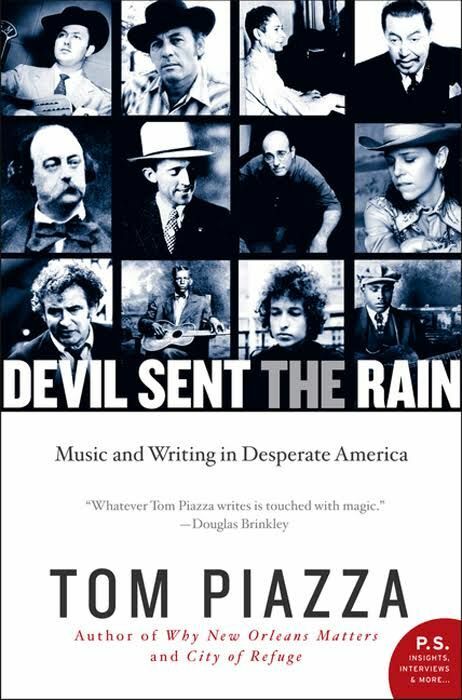 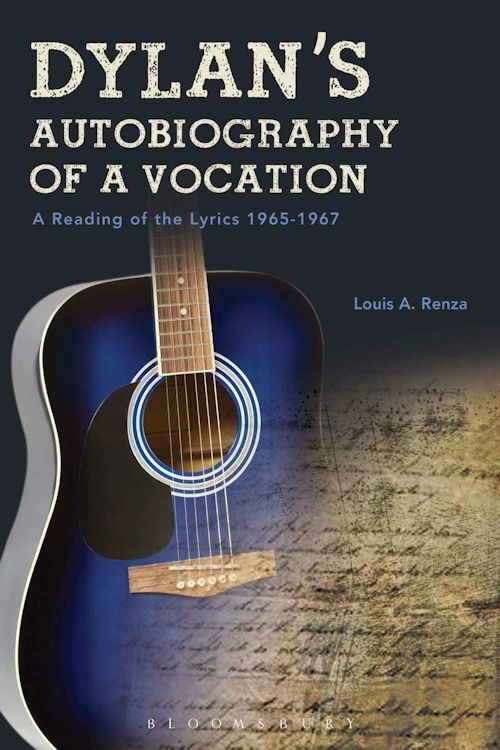 * DEVIL SENT THE RAIN - MUSIC AND WRITING IN DESPERATE AMERICA, by Tom Piazza. 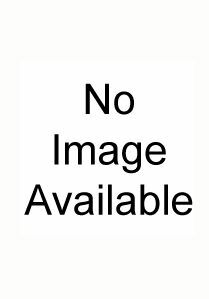 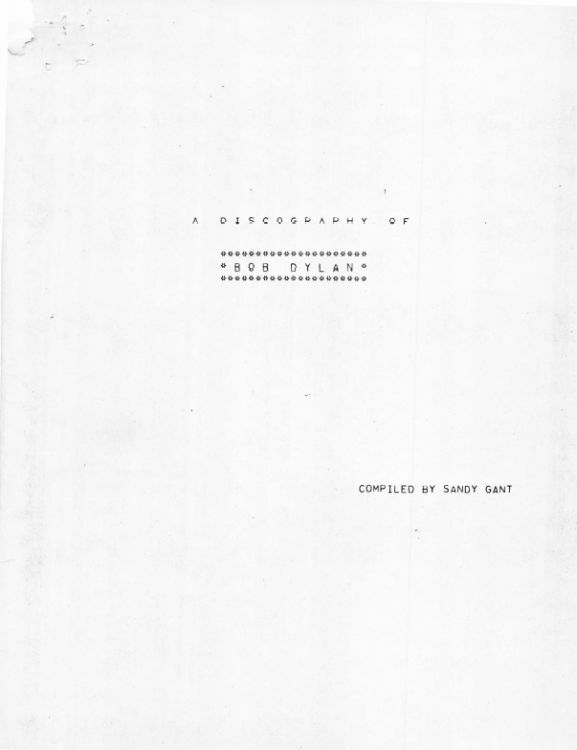 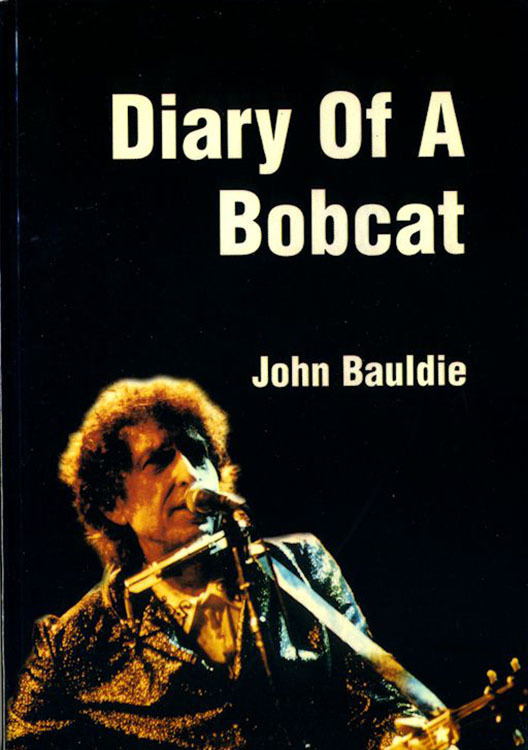 DIARY OF A BOBCAT, by John Bauldie, Wanted Man 1995, 90 pages. 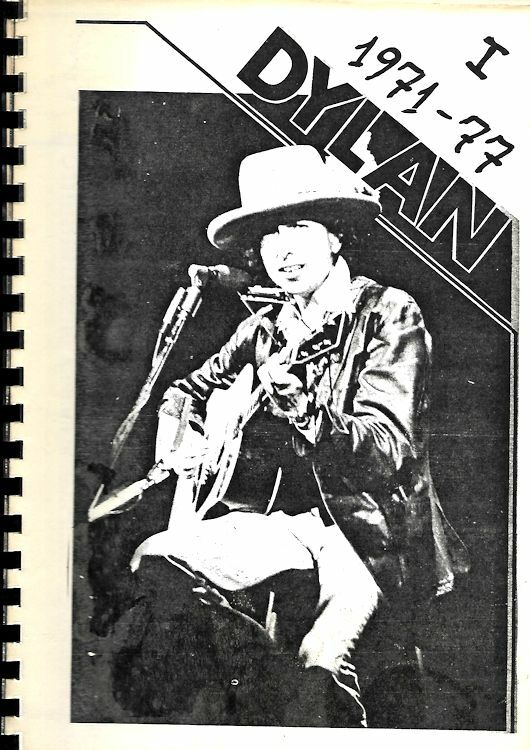 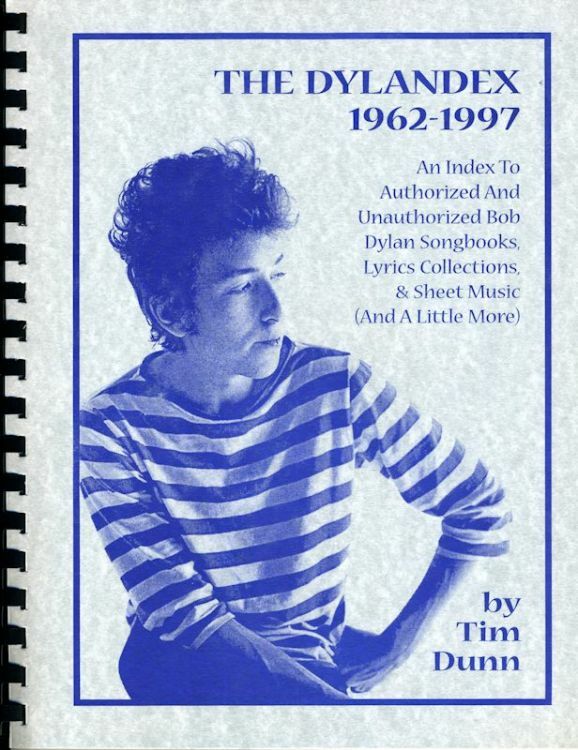 DISCOGRAPHY OF BOB DYLAN (A), compiled by Sandy Gant. 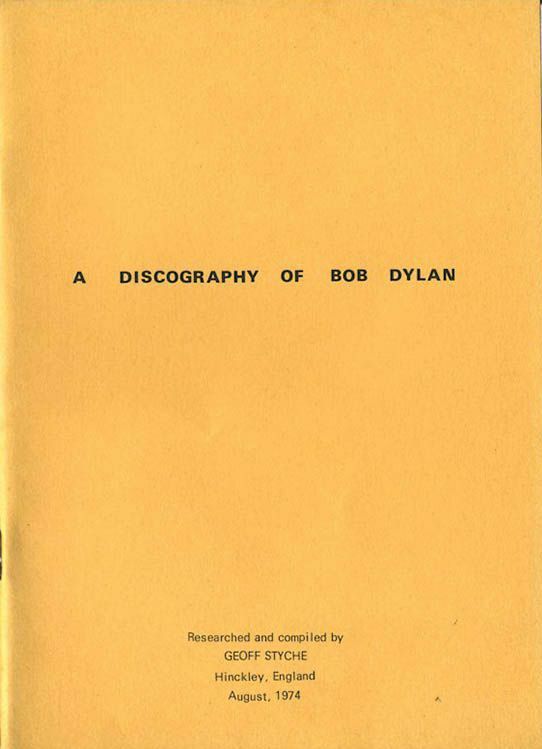 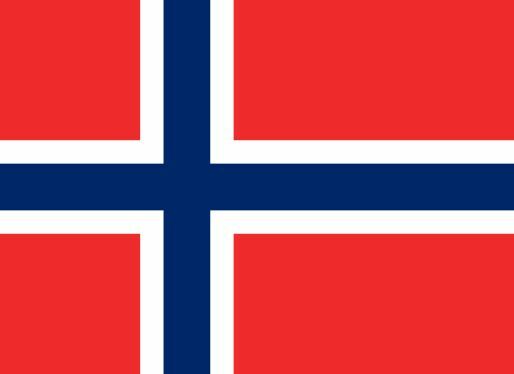 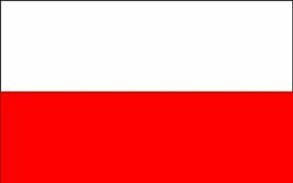 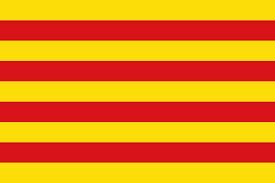 DISCOGRAPHY OF BOB DYLAN (A), "Researched and compiled by Geoff Styche". 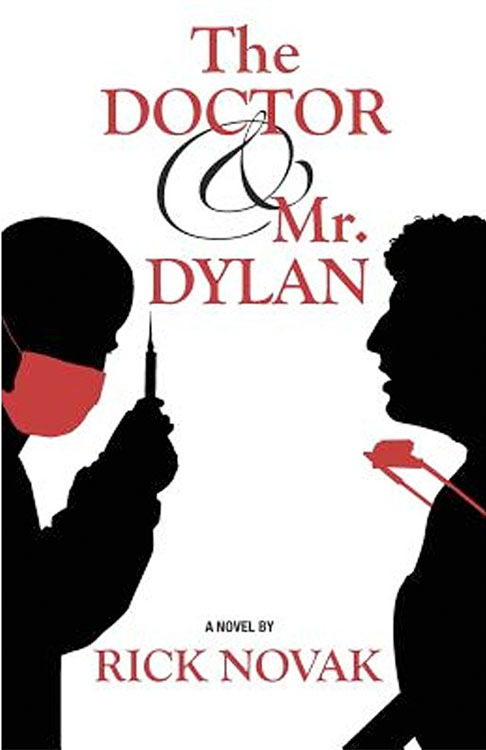 * DOCTOR (THE) & MR. DYLAN, by Rick Novak (novel). 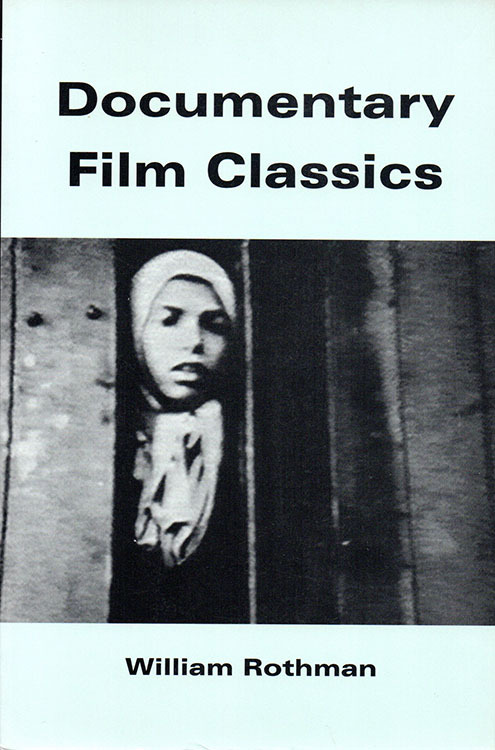 * DOCUMENTARY FILM CLASSICS, by William Rothman. 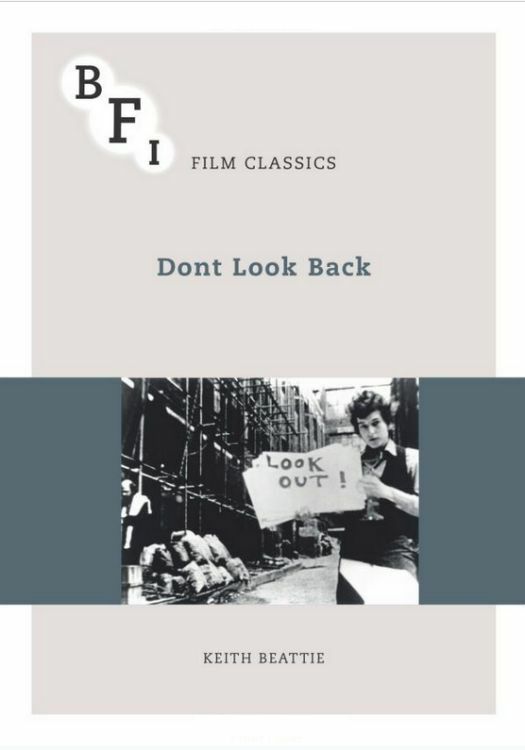 DONT LOOK BACK, by Keith Beattie. 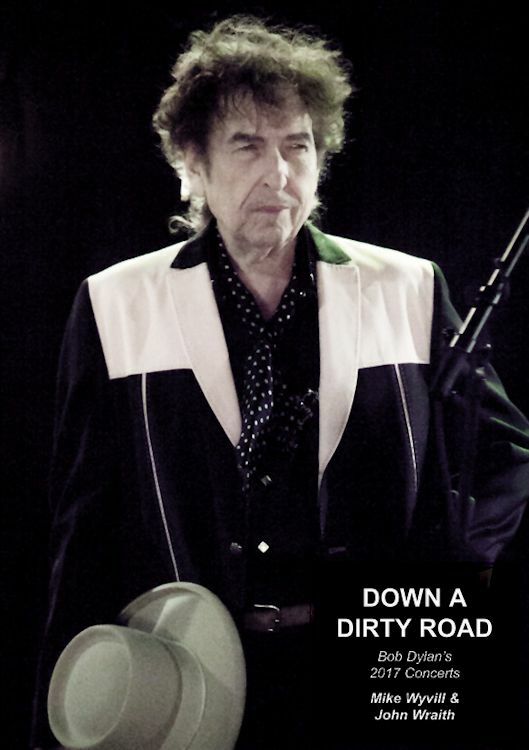 DOWN A DIRTY ROAD - BOB DYLAN'S 2017 CONCERTS, by Mike Wyvill & John Wraith. 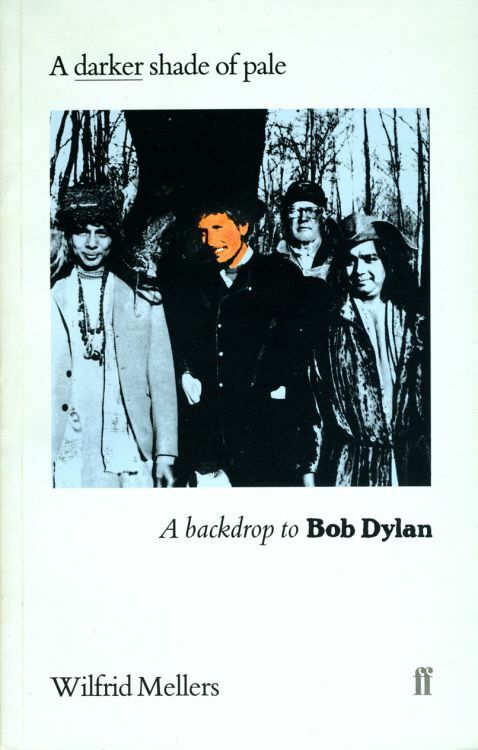 * DOWN AND IN - LIFE IN THE UNDERGROUND, by Ronald Sukenick. 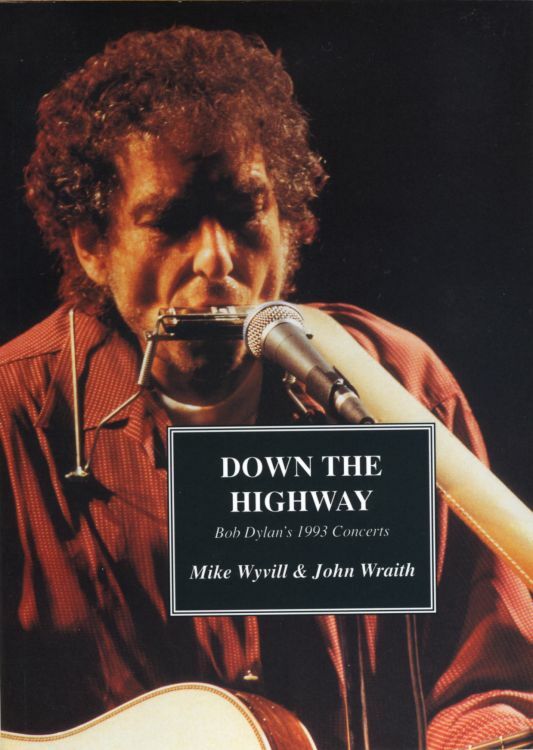 DOWN THE HIGHWAY - BOB DYLAN'S 1993 CONCERTS, by Mike Wyvill & John Wraith. 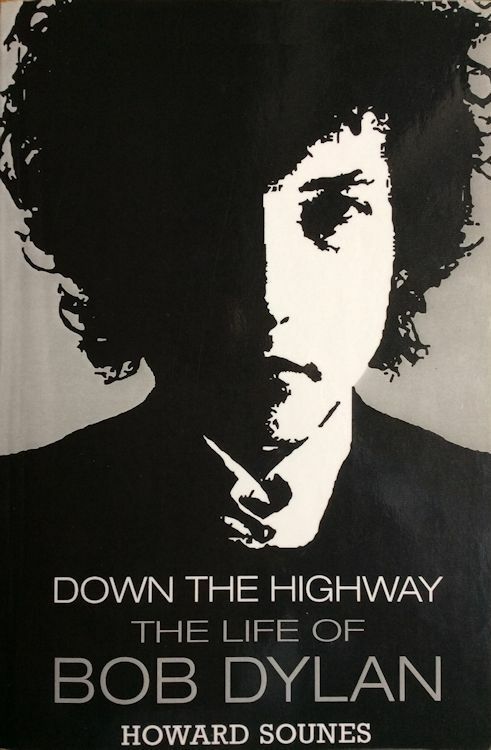 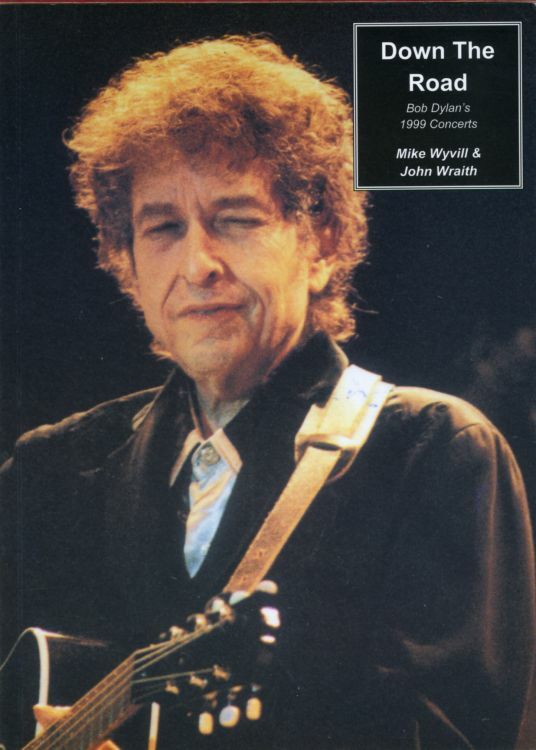 DOWN THE ROAD - BOB DYLAN'S 1999 CONCERTS, by Mike Wyvill & John Wraith. 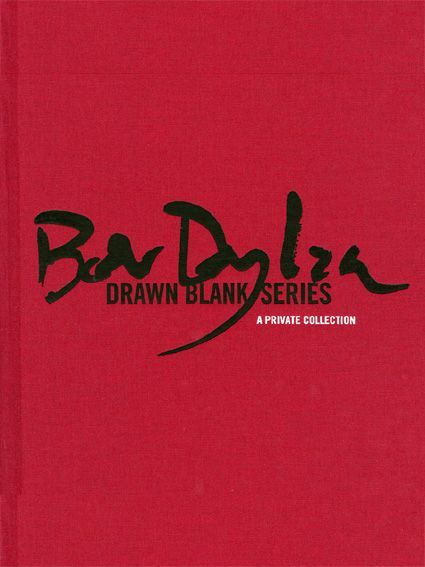 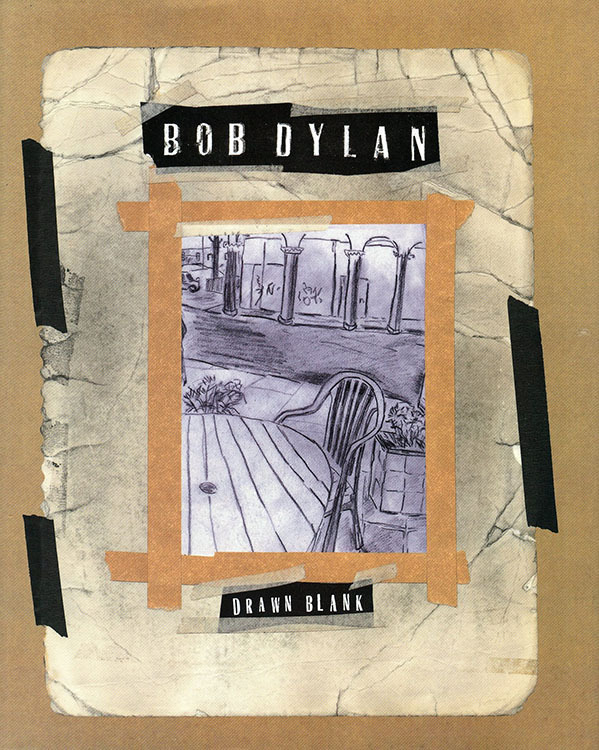 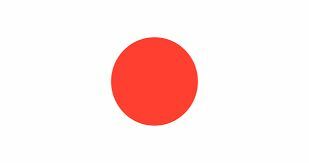 DRAWN BLANK, by Bob Dylan. 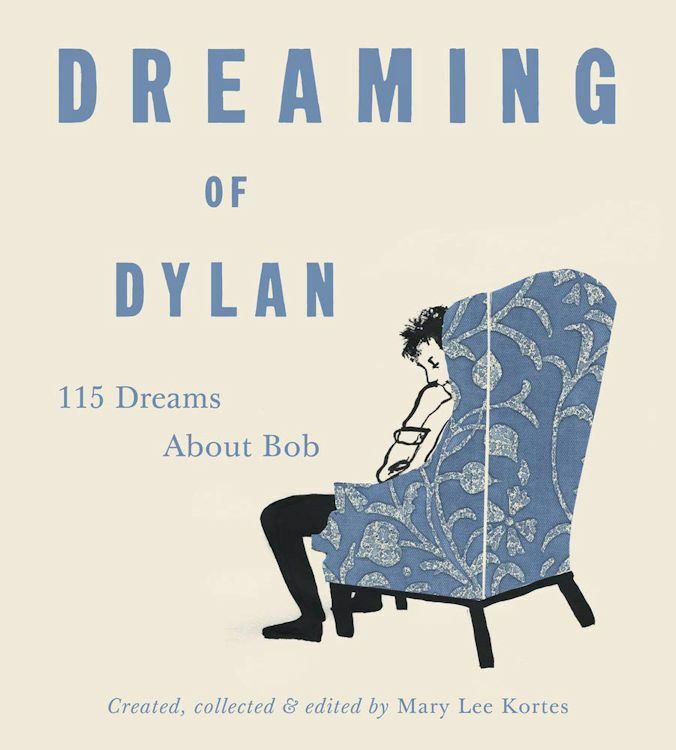 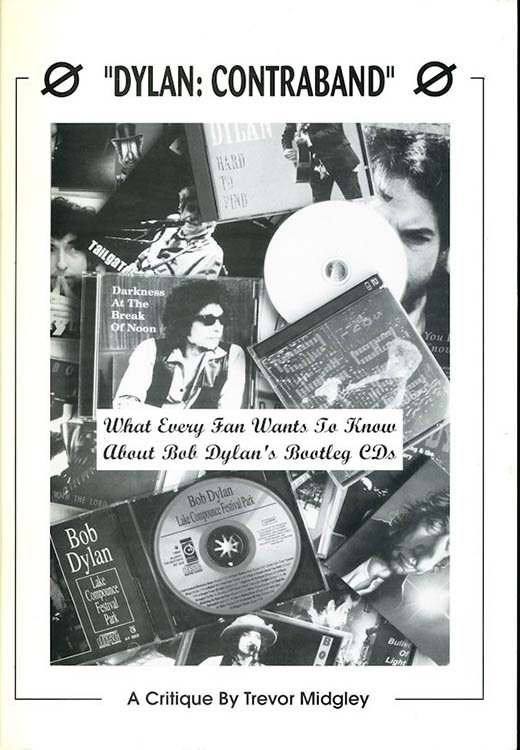 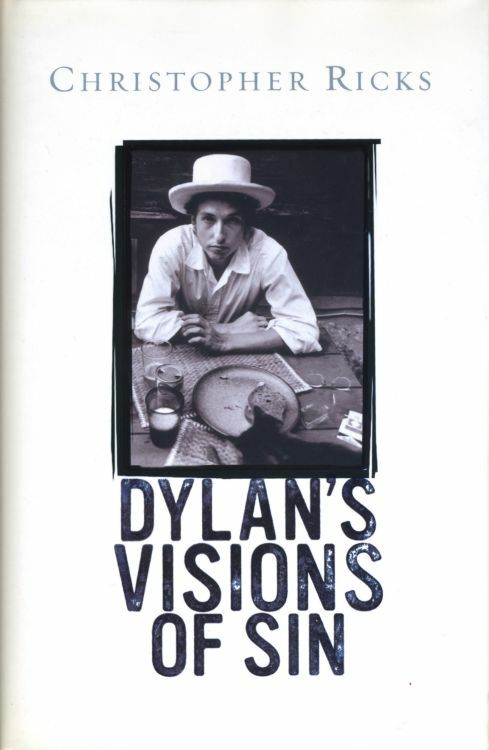 DREAMING OF DYLAN - 115 DREAMS ABOUT BOB , 'created collected and edited by Mary Lee Kortes'. 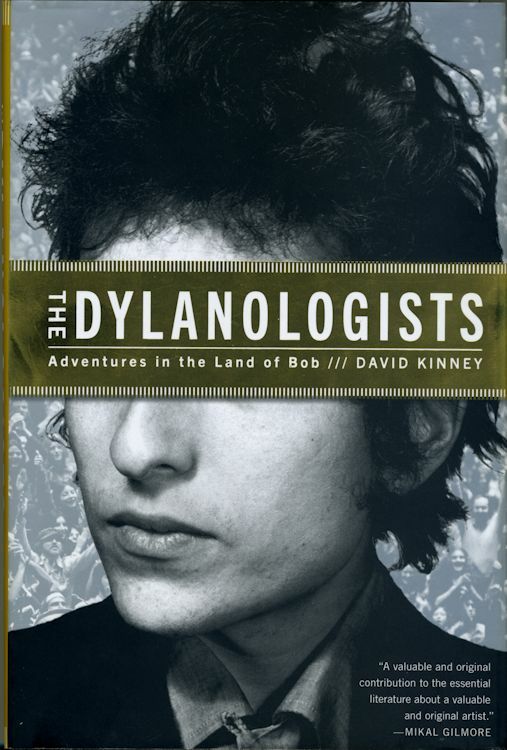 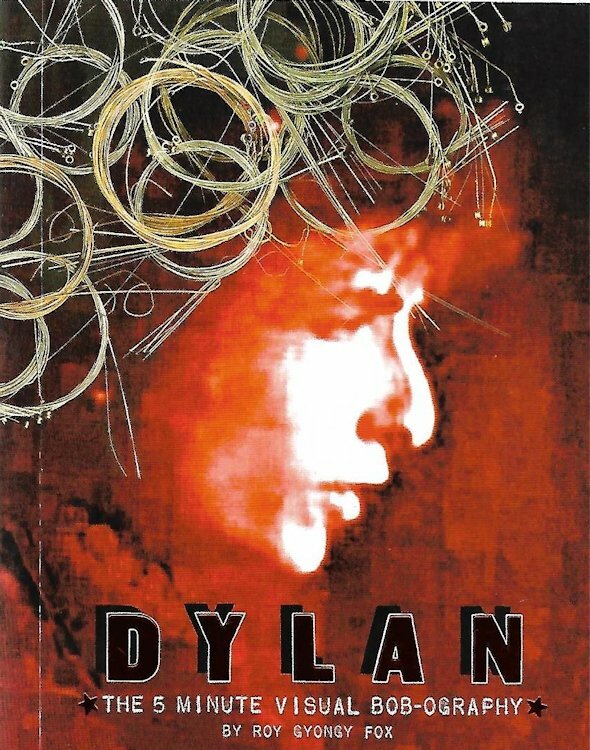 DYLAN ('BOB DYLAN' on spine), by Luke Crampton, Dafydd Rees and Wellesley Marsh. 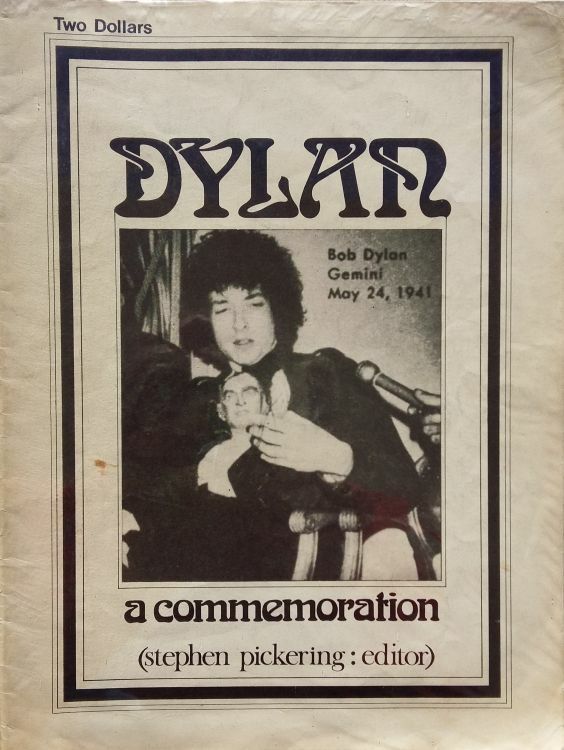 DYLAN I, II & III (3 volumes of musical newspapers clippings). 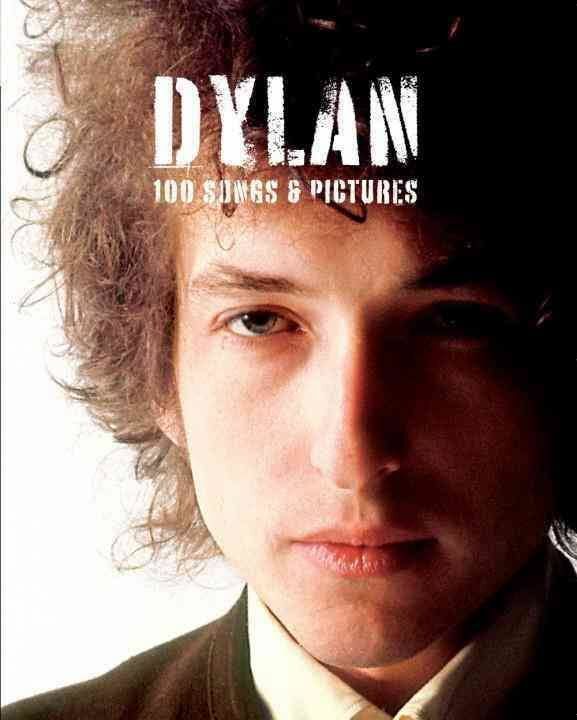 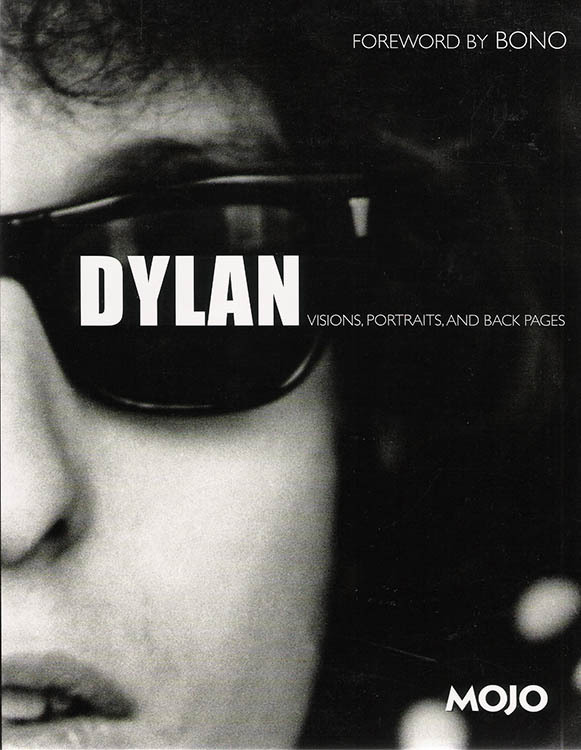 DYLAN - 100 SONGS AND PICTURES, by Peter Doggett. 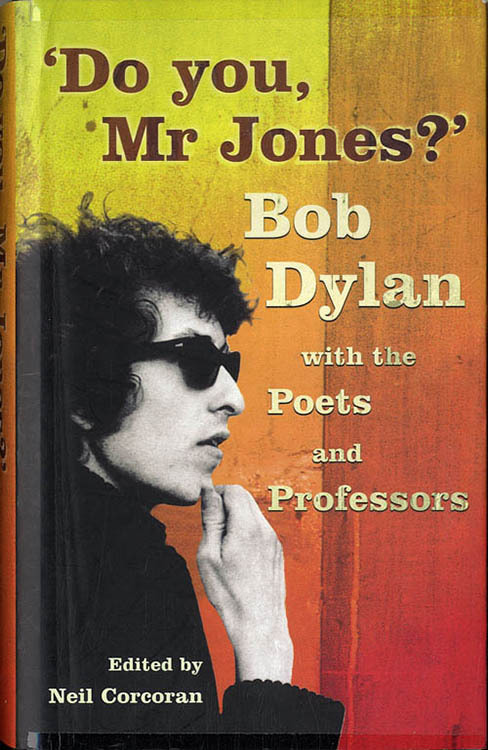 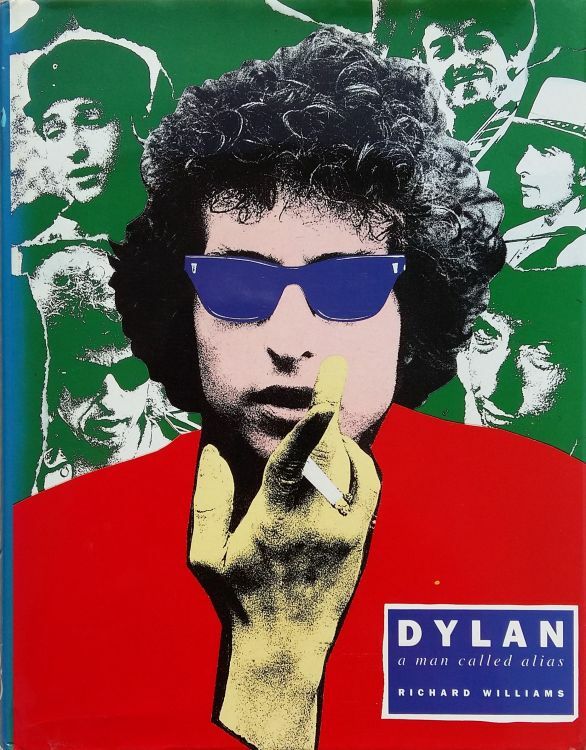 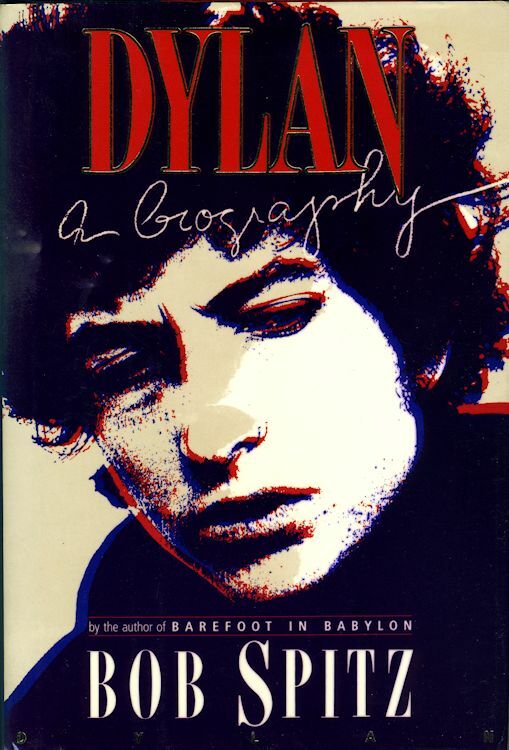 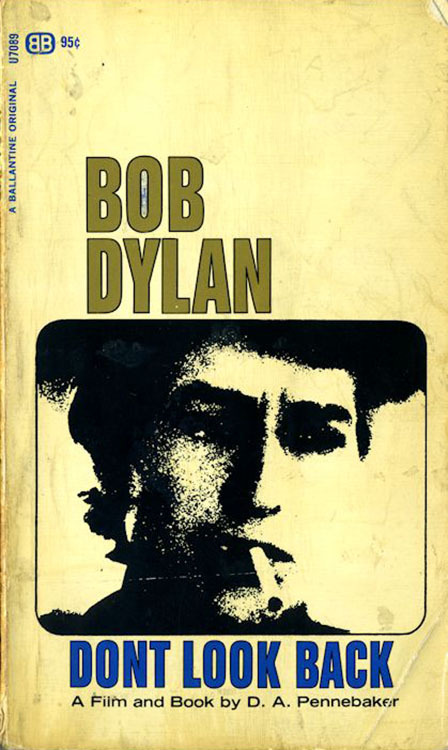 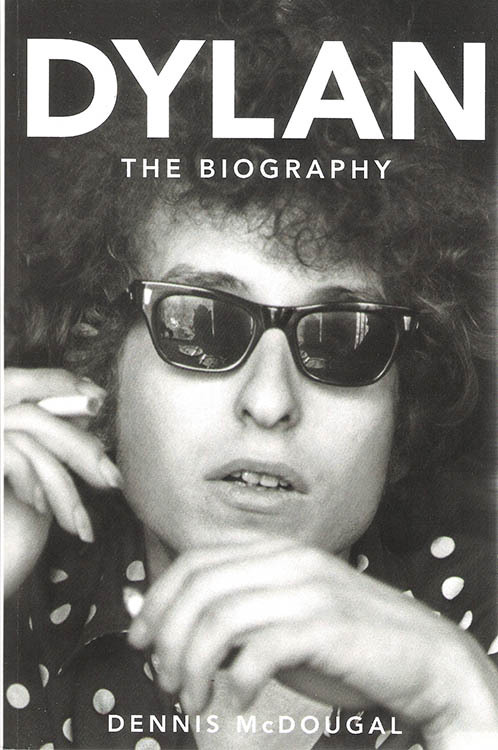 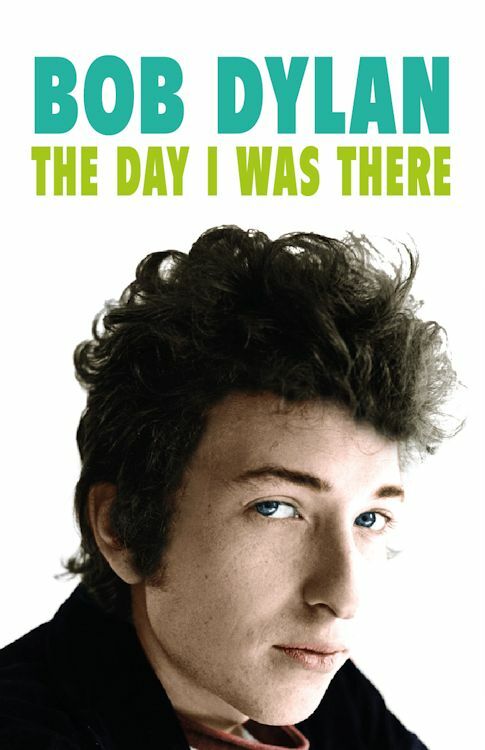 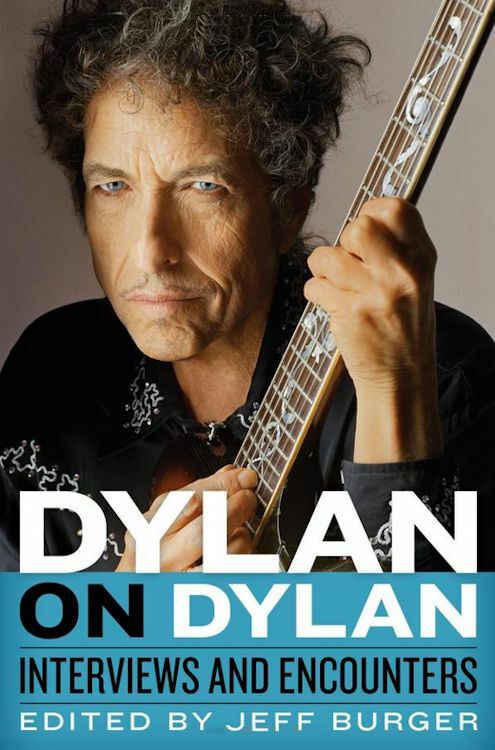 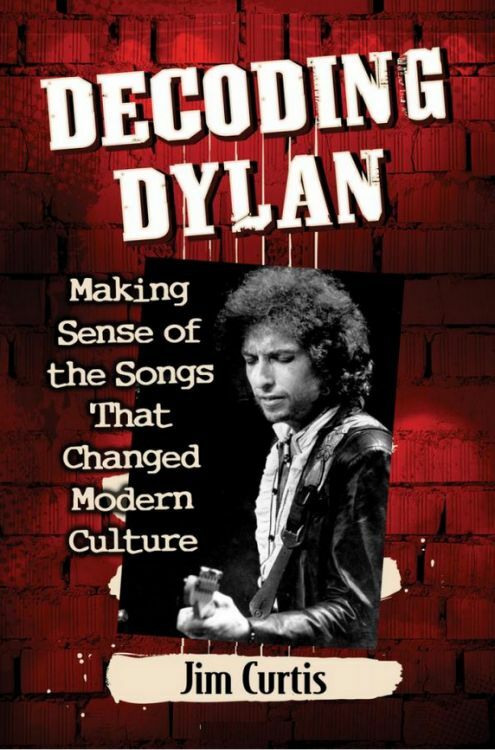 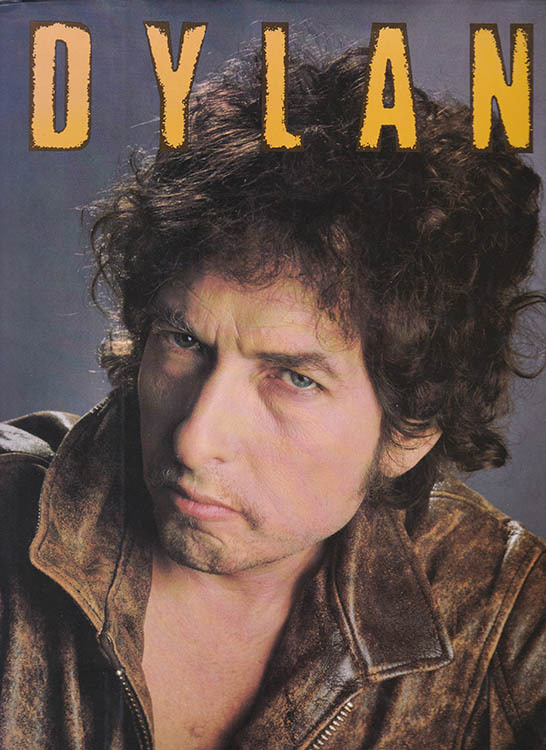 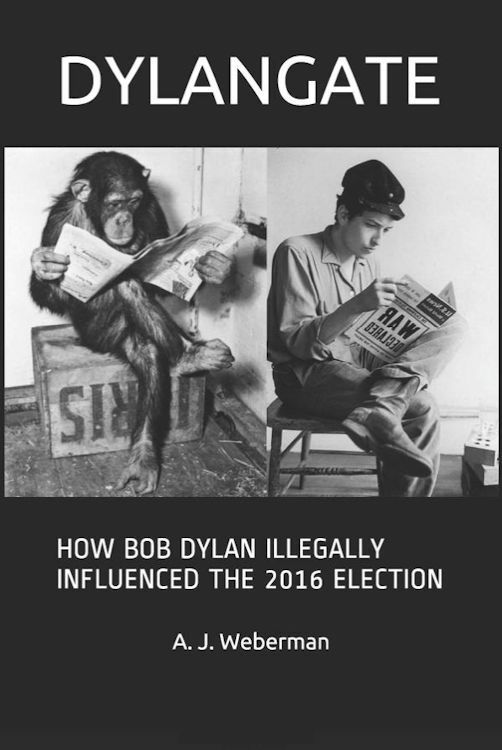 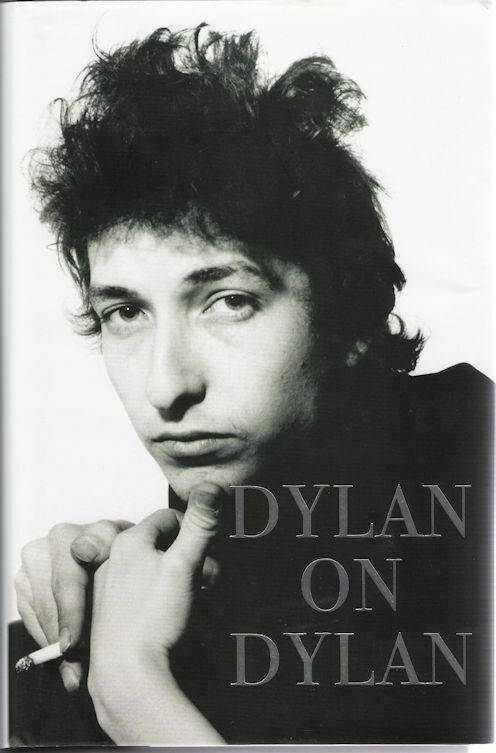 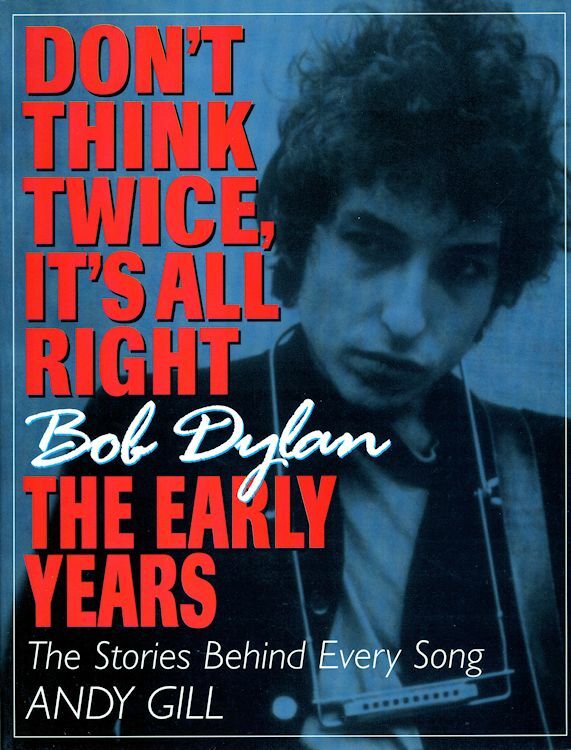 DYLAN - A BIOGRAPHY, by Bob Spitz. 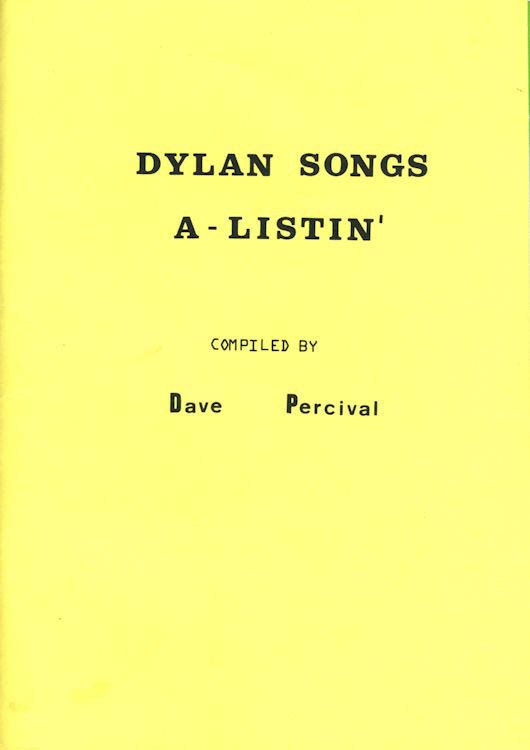 DYLAN A LISTING, by Arie De Reus. 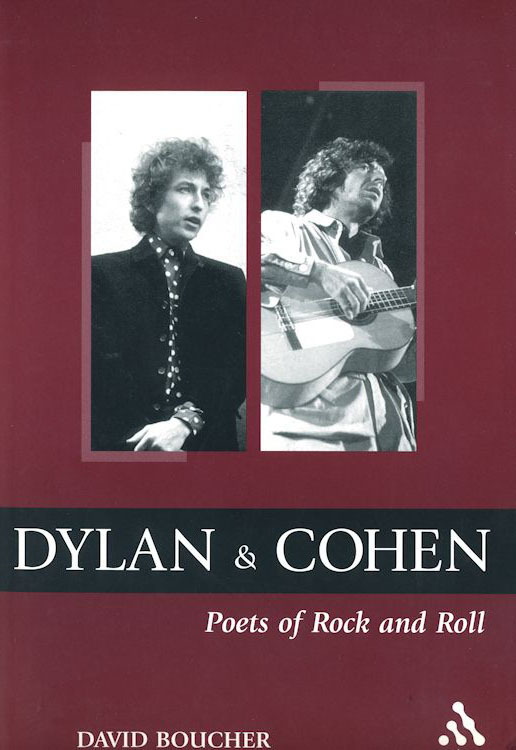 DYLAN & COHEN - POETS OF ROCK AND ROLL, by David Boucher. 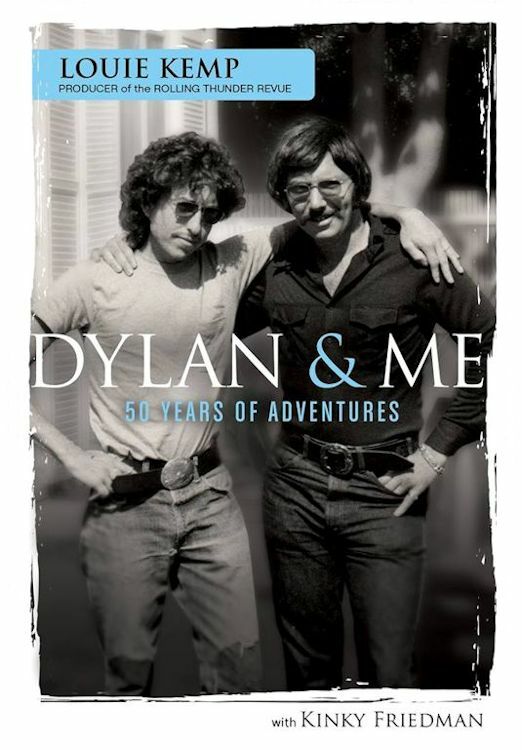 DYLAN & ME - 50 YEARS OF ADVENTURES, by Louie Kemp. 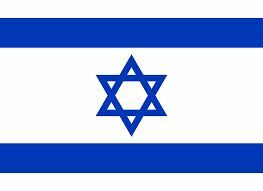 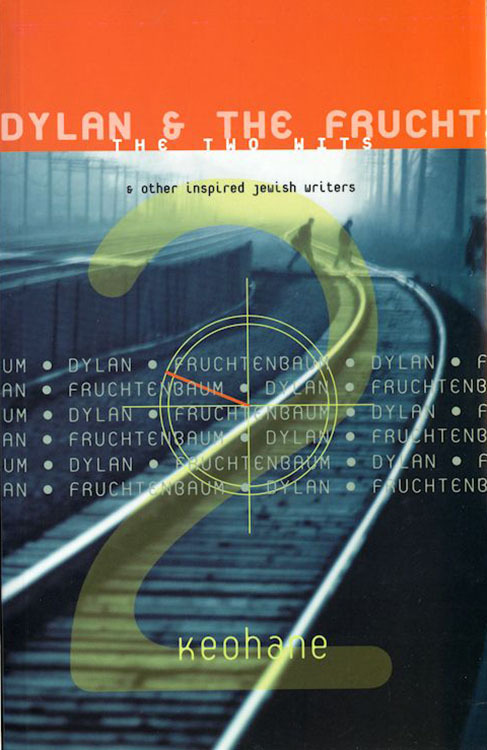 DYLAN & THE FRUCHT - THE TWO WITS AND OTHER INSPIRED JEWISH WRITERS, by Ronnie Keohane. 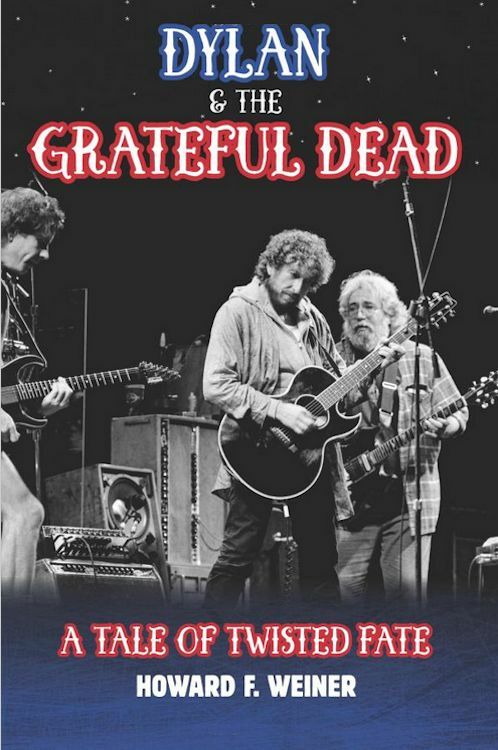 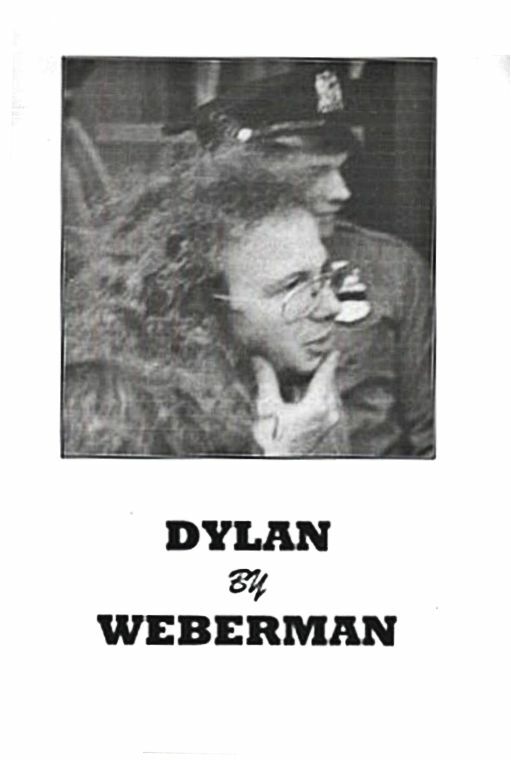 DYLAN & THE GRATEFUL DEAD - A TALE OF TWISTED FATE, by Howard F. Weiner. 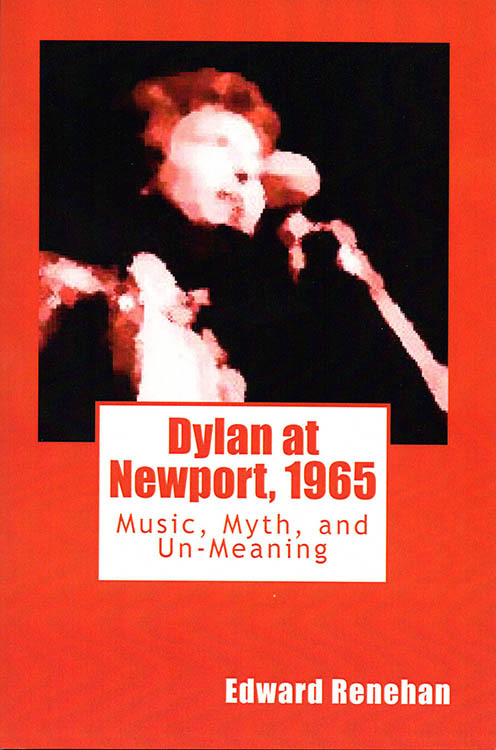 DYLAN AT NEWPORT 1965 - MUSIC, MYTH, AND UN-MEANING, by Edward Renehan. 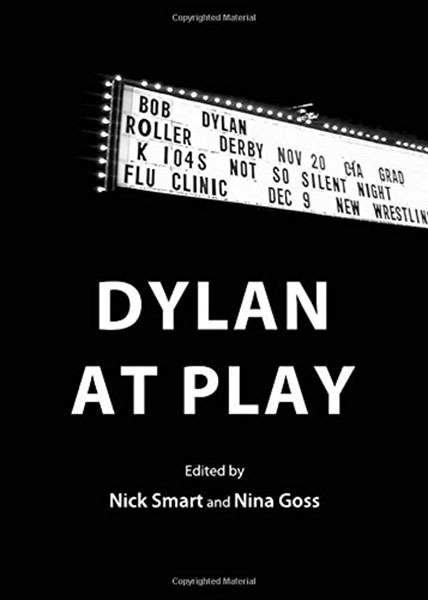 DYLAN AT PLAY, edited by Nick Smart and Nina Goss. 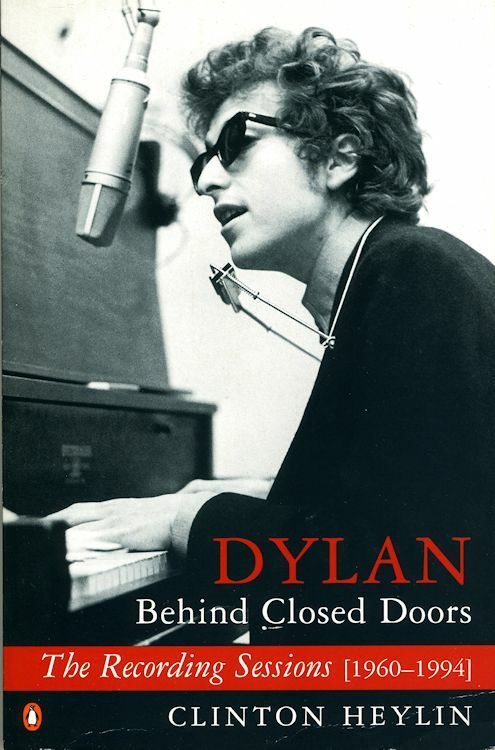 DYLAN BEHIND CLOSED DOORS - THE RECORDING SESSIONS [1960-1994], by Clinton Heylin. 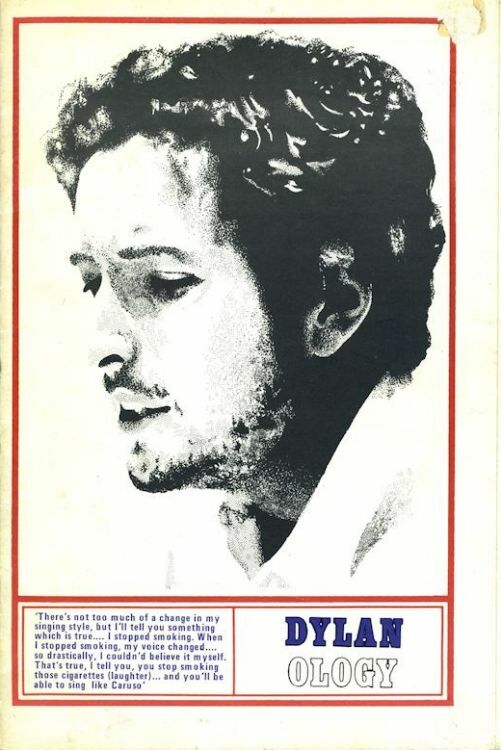 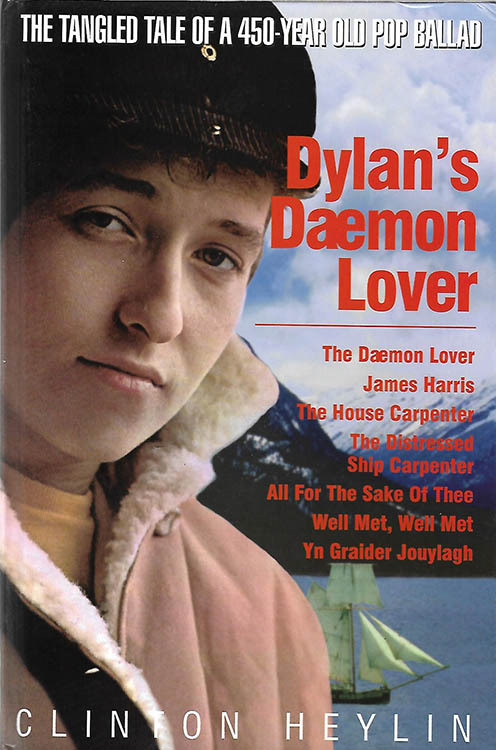 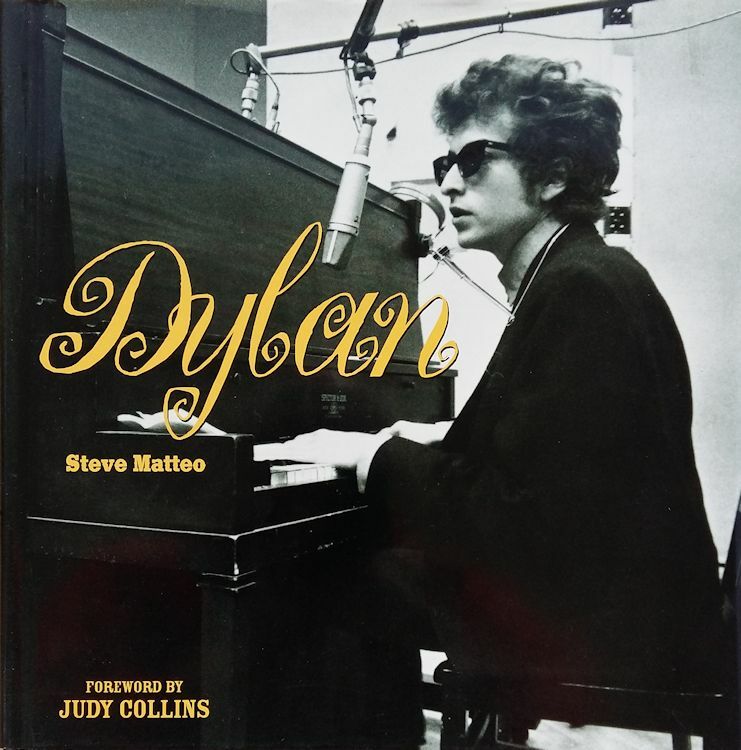 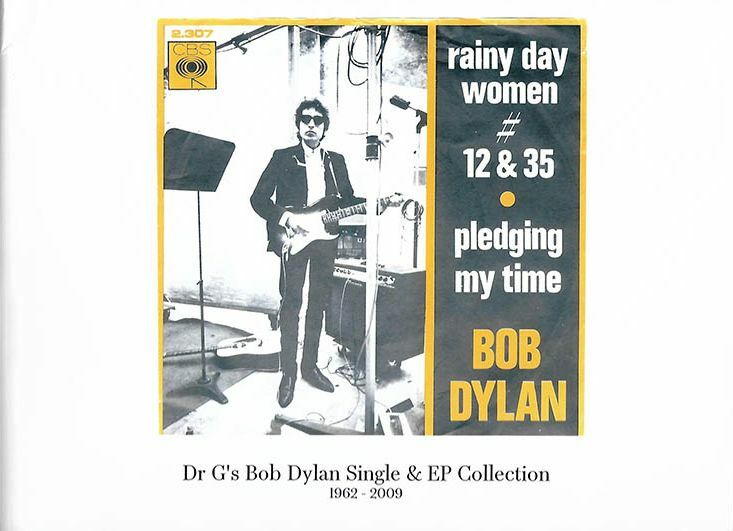 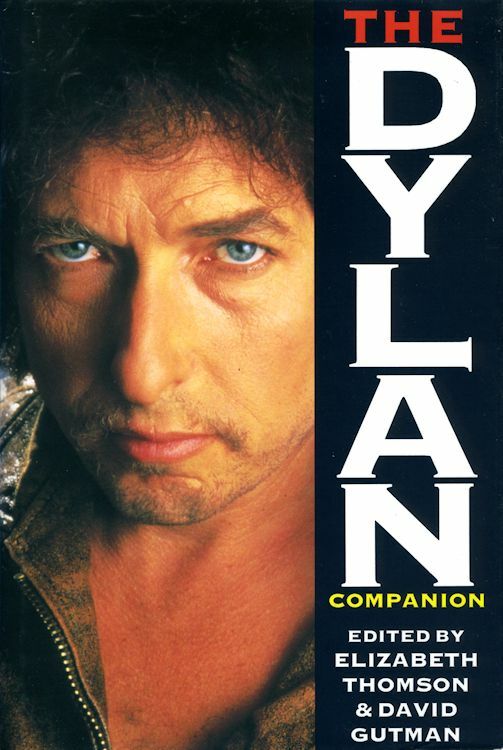 DYLAN BY OTHERS - AN EXPANDING COLLECTION OF COVER VERSIONS, by Larry Hansen. 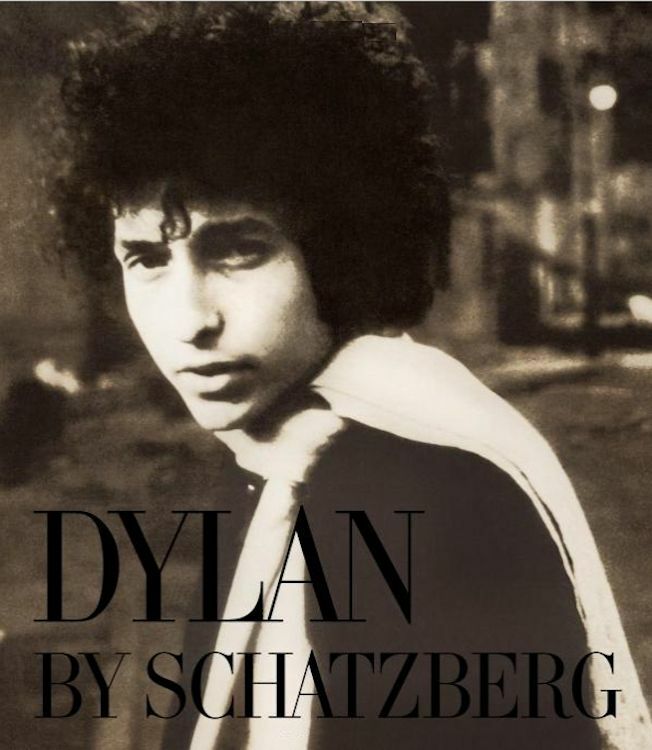 DYLAN BY SCHATZBERG, by Jerry Schatzberg. 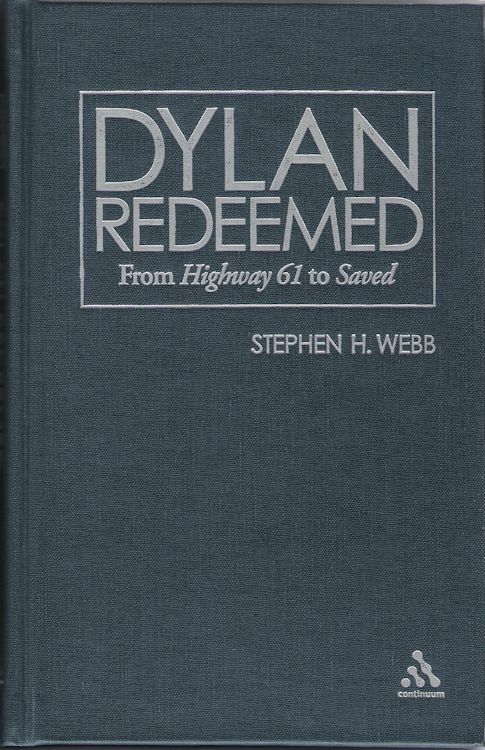 DYLAN BY WEBERMAN, by John Roberts. 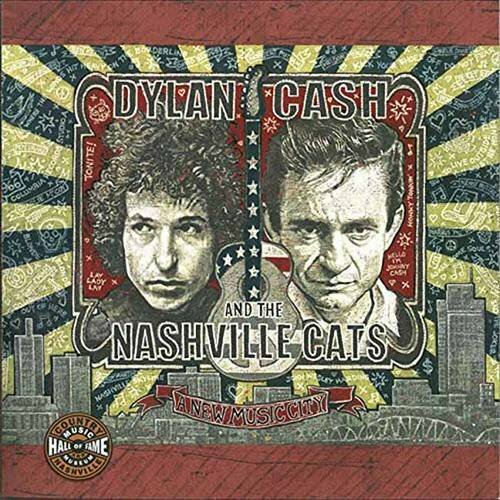 DYLAN, CASH, AND THE NASHVILLE CATS, Country Music Hall Of Fame And Museum. 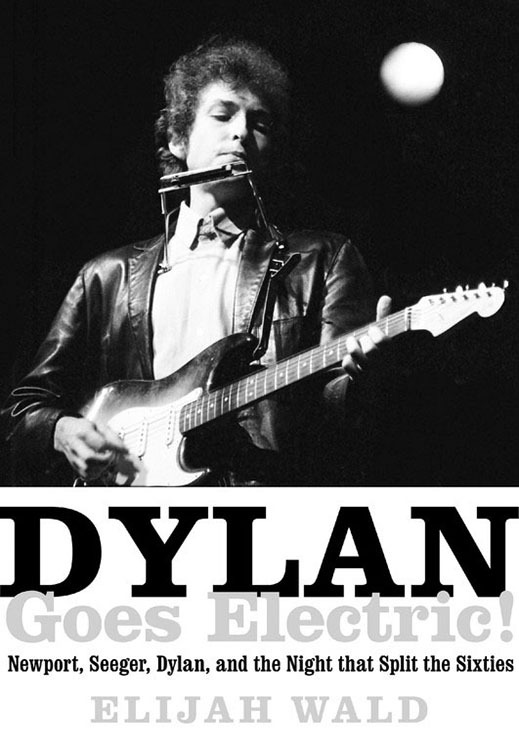 "DYLAN: CONTRABAND" "A Critique by Trevor Midgley"
DYLAN GOES ELECTRIC!, by Elijah Wald. 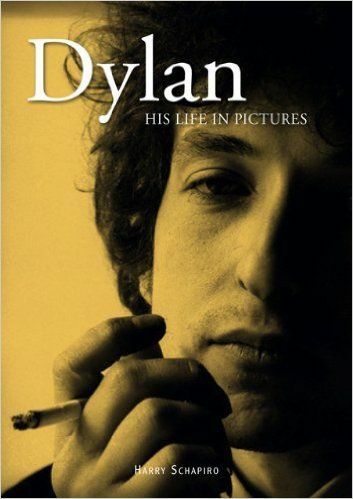 DYLAN - HIS LIFE IN PICTURES, by Harry Shapiro. 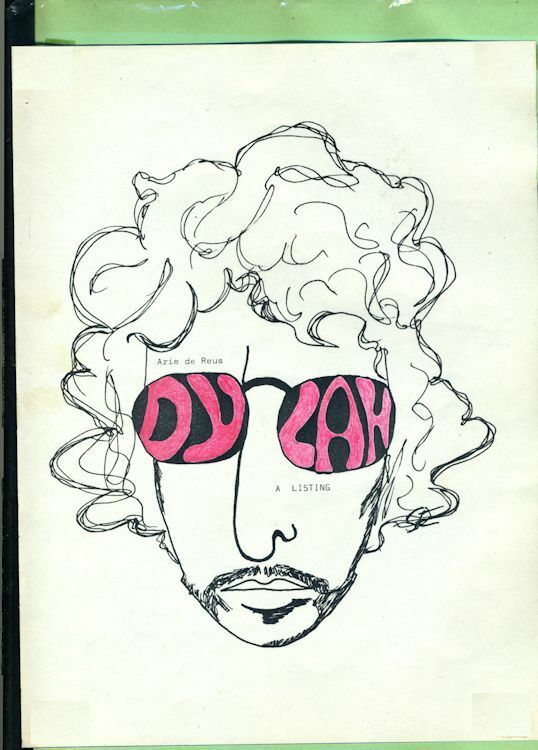 DYLAN JUNKIE, by Jeffrey Paparoa Holman. 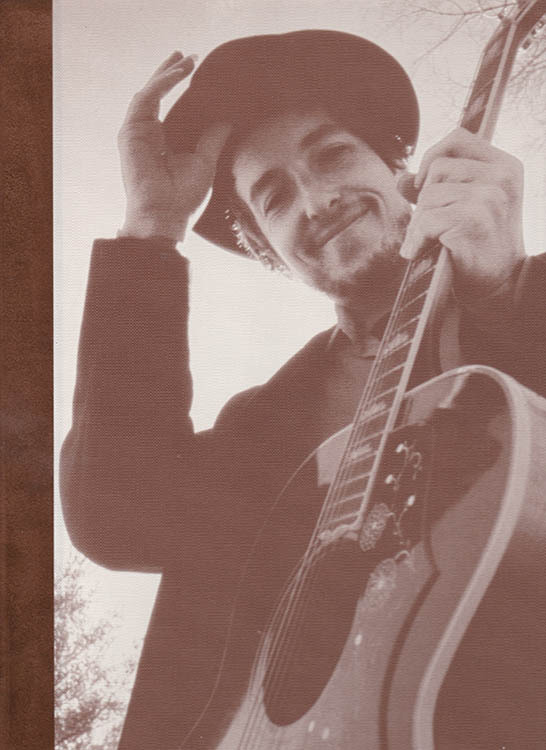 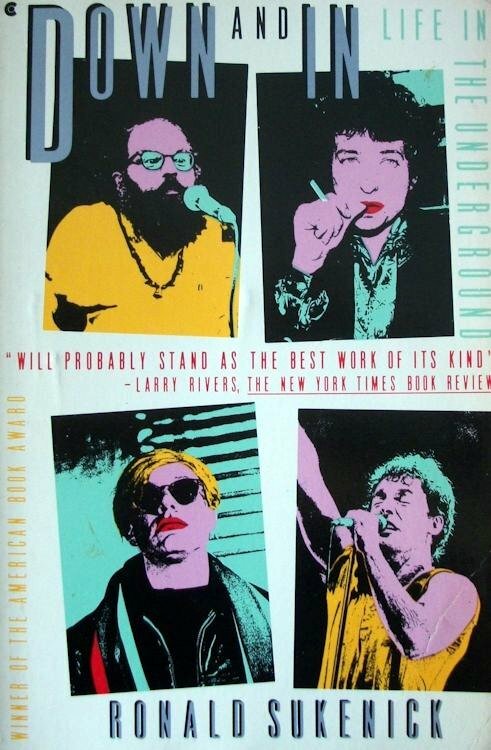 DYLAN ON DYLAN - INTERVIEWS AND ENCOUNTERS, edited by Jeff Burger. 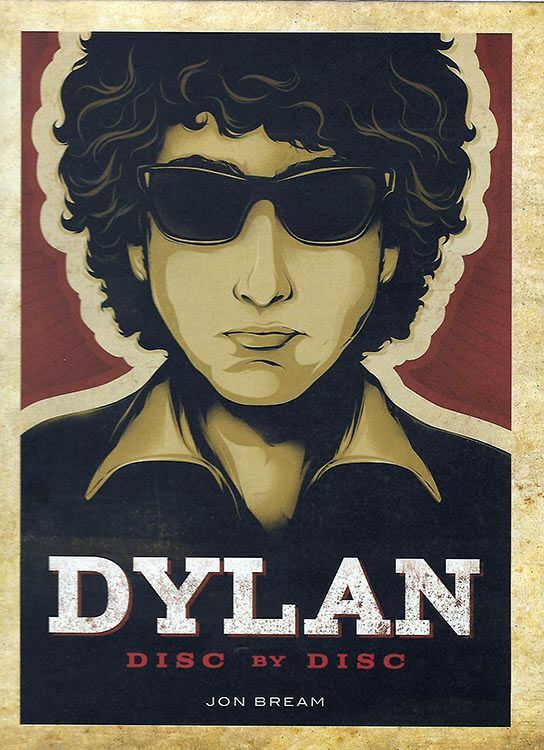 DYLAN - THE 5 MINUTE VISUAL BOB-OGRAPHY, by Roy Fox. 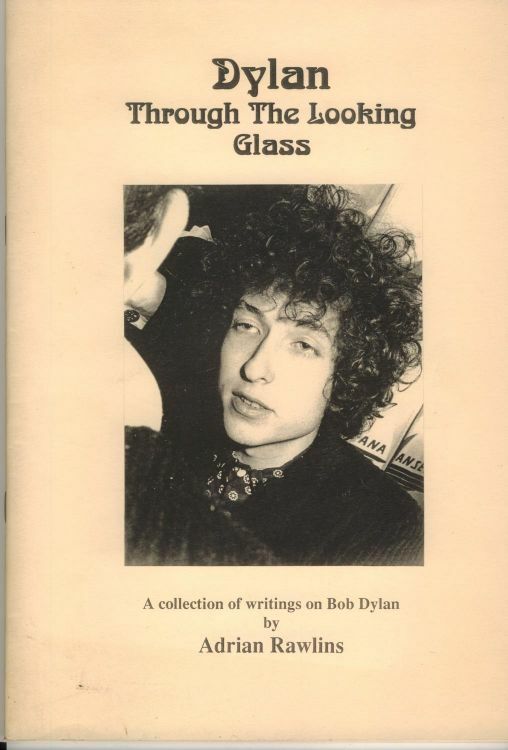 DYLAN THROUGH THE LOOKING GLASS, by Adrian Rawlins. 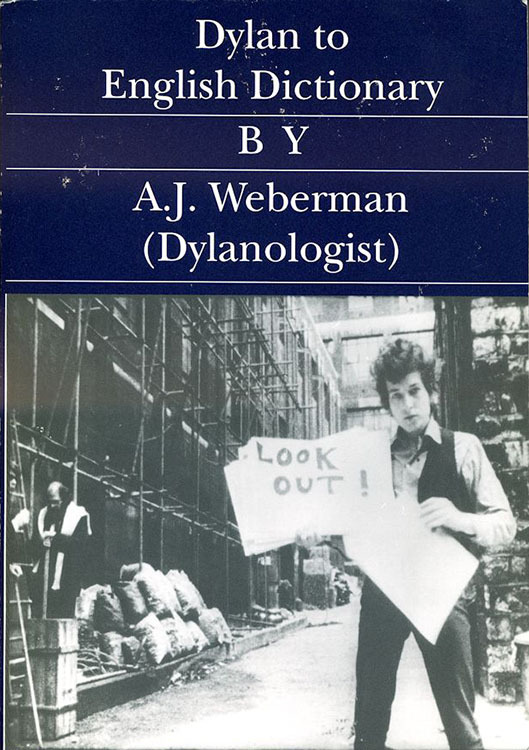 DYLANOLOGY AP! 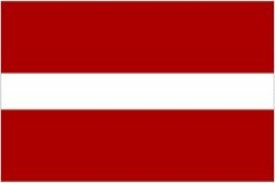 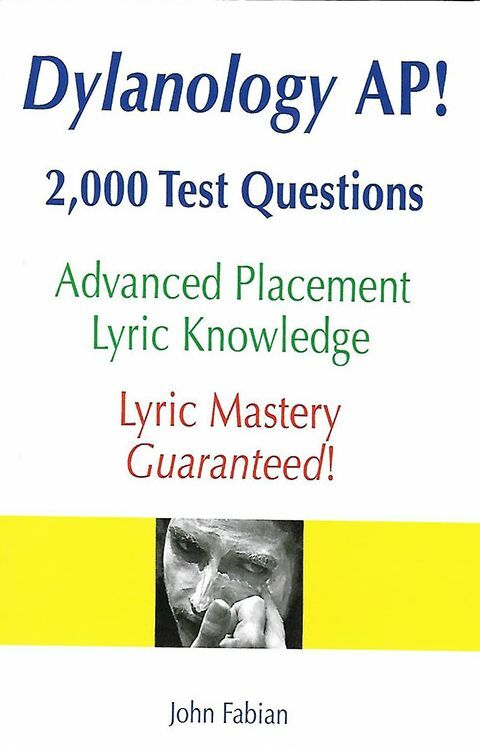 - 2,000 TEST QUESTIONS by John Fabian.